Really doesn't feel like December! This month has definitely gone fast! Just thought I would do a post about some of the no beauty favourites in November. 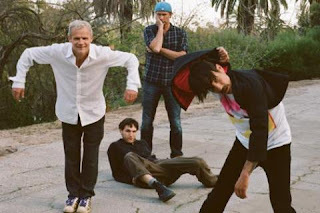 First favourite has to be the Red Hot Chili Peppers, they've been my favourite band for a while now and after seeing them live this month (you can see a post about that here!) I have been in love with them even more, if that is even possible! I've been listening to more of their older stuff, especially 'Fight Like The Brave' which always has me dancing along. Next favourite is the show 'Community'. After Breaking Bad ended a few month's ago I needed to find a new show to watch. I came across Community after hearing several good things about it. I'm already half way through season 2 and love it! It's about a study group who atend a community college. The show is well written and all the characters can stand on their own. I would definitely recomend for anyone looking for a new comedy show. Next favourite is another music one. 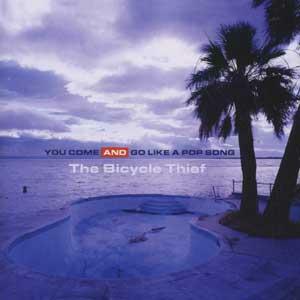 It's the only album by the band The Bicycle Thief called 'You Come and Go Like A Pop Song'. This album is just perfect. Bob Forrest voice is so pure and his lyrics about getting clean after a drug addiction and everyday life really make this album. It was also the first album Red Hot Chili Peppers new guitarist Josh Klinghoffer had ever played on, being only 17 when he met Bob. The album is hard to get hold of due to its small release but is available on Amazon. One of my favourite songs is 'Rainin' (4am)'. The band did break up back in 2001 but will hopefully be playing again sometime next year which is very good news! Next favourite is Peppermint tea, i've been trying to drink less coffee but always feel like I need a warm drink when I get home from University especially now it's getting colder. After reading that Green Tea and Peppermint Tea are both good for you're skin I thought it would be worth a try. I'm not a tea drinker normally but both us these are refreshing and a great alternative to coffee for me. Dot Hacker - Eye Opener, has to be one of the most beautiful songs i've heard all year, their album is rumoured to finally be coming out in February next year and I can't wait! Coldplay - Charlie Brown, love the new album and this is my favourite can't stop listening! Noel Gallagher's High Flying Birds - If I Had A Gun..., I was never a fan of Oasis but after hearing this song on Jool's Holland i've been in love with it! The Bicycle Thief - Rainin' (4am), the version where Josh was a guest on Bob Forrest's radio show to be precise. Just an acoustic guitar and two great voices. Perfect. Warpaint - Majesty (Rough Trade Sessions), I love Warpaint so much, this version of Majesty is just incredible. Theresa and Emily's voices fit perfectly together. just shut your eyes and enjoy. John Frusciante - Time Runs Out, I love John's music and this song is kind of a rediscovered love. It's been on repeat most nights. The drums on this song are just amazing. Josh Klinghoffer on form as always! John Frusciante - Song To The Siren, not much I can say about this apart from its perfect, John's voice always gets me. Great song to listen to before falling asleep. I listen to a lot of Kevin Smith podcasts, my favourite one is still Smodcast because when him and Scott get together you know you're going to get taken to a imaginary world of funny! Great easy listen. Its available here or on itunes.